Taanaji Shooting Begins on 25th September, 2018. Much awaited Taanaji starring Ajay Devgn goes on floor today. Film shooting has begun with muhurat shot today. Taanaji is set to be directed by Om Raut. Tanaji Malusare was a Koli military leader in the Maratha Empire. He fought alongside Maratha leader Shivaji in various battles throughout the years. He is most famously known for his role in the Battle of Sinhagad in 1670 A.D. He fought for his People, his Soil & his King Chhatrapati Shivaji. 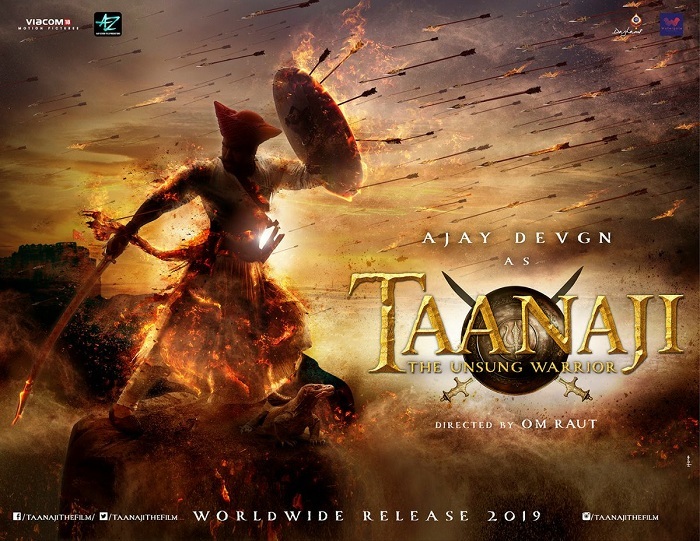 Taanaji is one of the Bollywood's honest attempt at war period drama. Film will be mounted in huge scale. Budget is estimated to go over 150 crores. As per report a big ensemble cast has been put in place for the film. We expect official announcement very soon. Sources say that Saif Ali Khan is also on board for Taanaji. There is an official update on film release date. It is announced as 22 November, 2019. Get Set Ready!